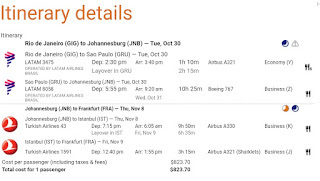 VERY interesting fare from Brazil to Germany with LATAM in Business Class that has some very flexible rules. 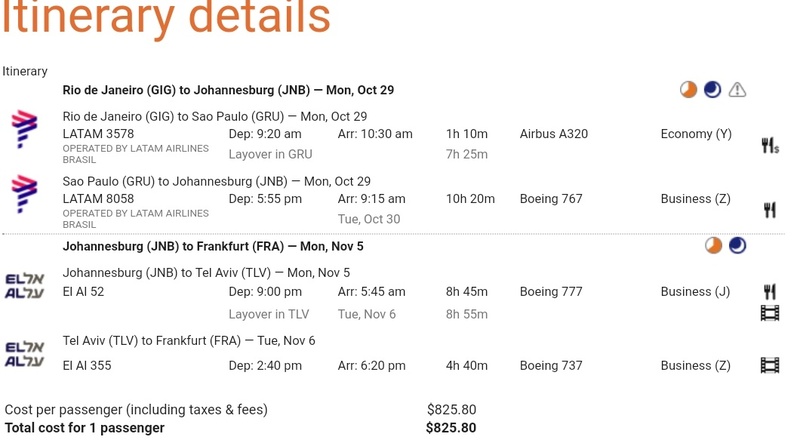 The base fare is from Porto Alegre, Río de Janeiro or Sao Paulo to Frankfurt, Munich, Dusseldorf and other cities in Germany. 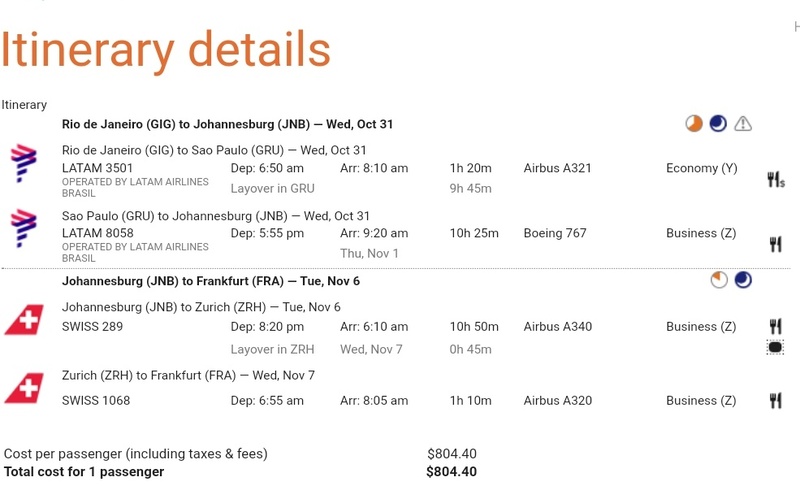 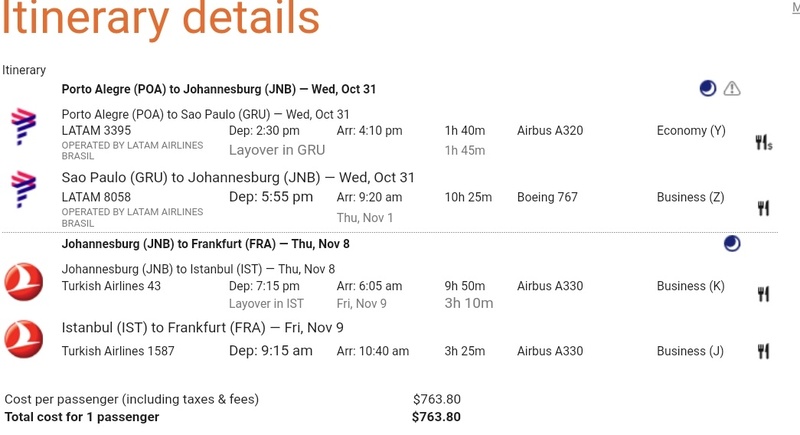 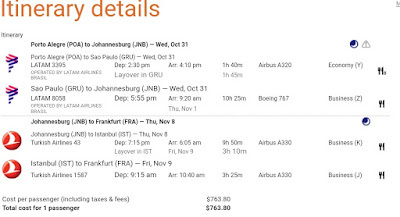 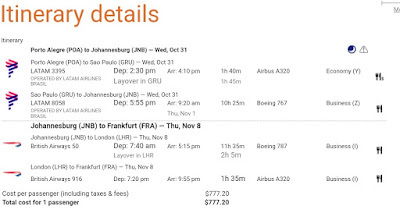 The one-way fare prices out at about $600 (USD), this is for routing from GIG-GRU-FRA but for just $100-200 more you can route via Johannesburg (either on LATAM or codeshares on South African) , stopover for several days and then make your way to Europe via London, Zurich, Amsterdam, Zurich or even the Middle East!! 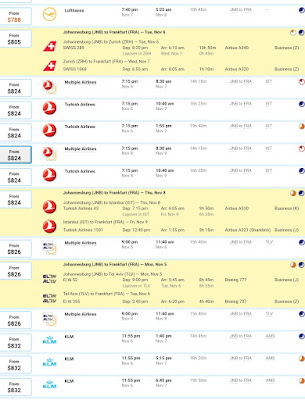 Abu Dhabi, Istanbul and even Tel Aviv are valid routing and price out at the time of this post. 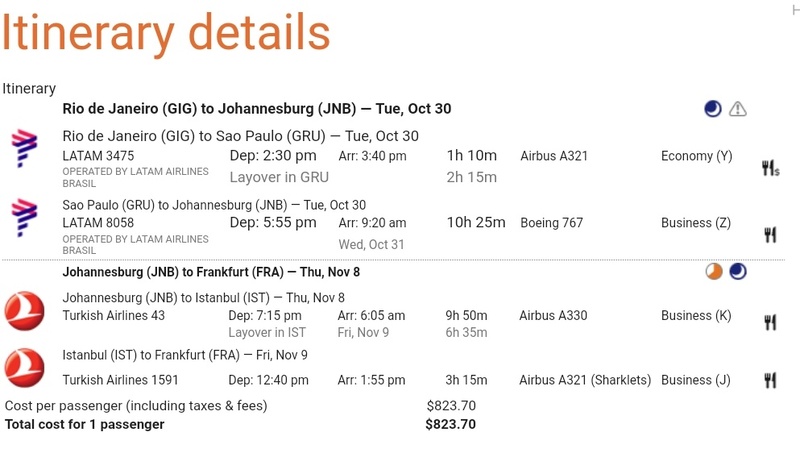 Brazil to Africa to Turkey to Germany! 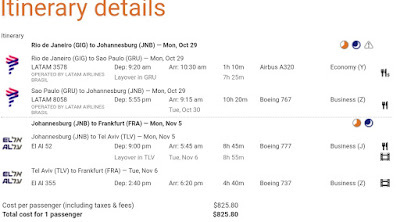 Brazil to Africa to Israel to Germany! 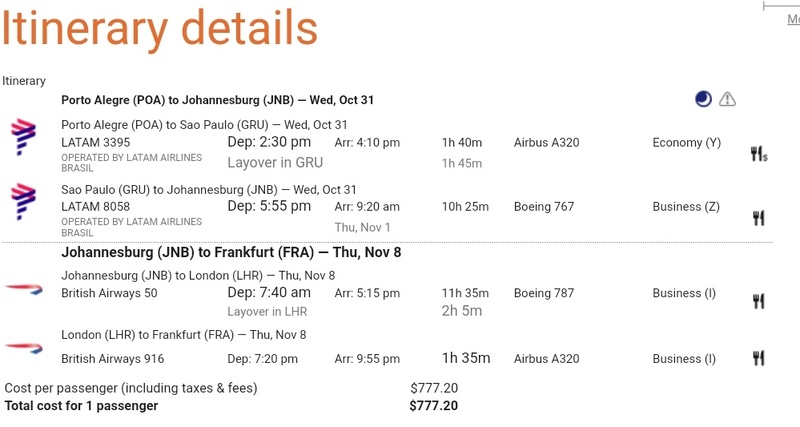 Brazil to Africa to London to Germany! 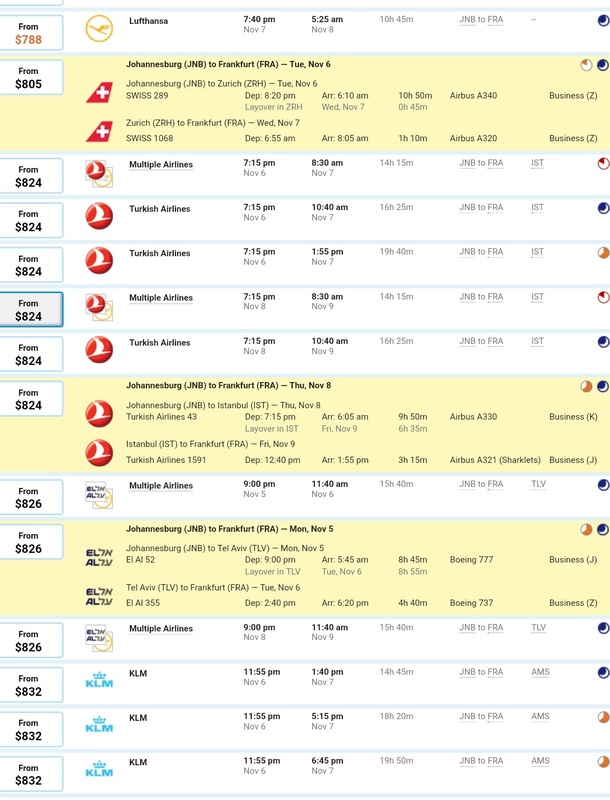 Here are just some of the sample flights!